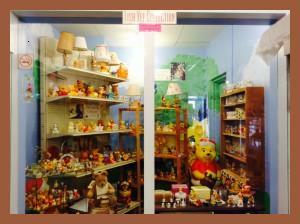 Come see our collections of donated merchandise from generous Winnie the Pooh fans! 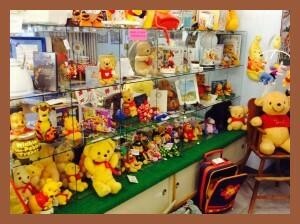 Come see our arrays of merchandise showcasing Winnie and his friends, who have occupied space both on our shelves and in our hearts. 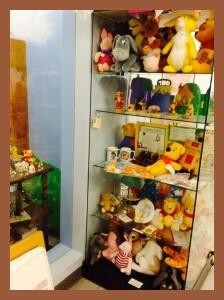 Featured are the collections donated by the Guiness world record holder for the most Winnie the Pooh and Friends merchandise, Deb Hoffman, and the largest collection on loan and on display in the museum, the Lisa Yee collection, which we have kept in safekeeping for Lisa Yee from Orlando, Florida since 2003.